Zom-Rom-Com's as Shaun of the Dead penned it are quite a narrow genre in the packed zombie field. Ones like Return of the Living Dead Part 3, and yes even Shaun of the Dead are not real romance films (and most certainly not comedies) while others such as Zombie Honeymoon are just kinda grim. Warm Bodies manages to be the closest thing yet to a true romance film due to it's almost singular focus on the love that blossoms between a young human girl and an undead ghoul. 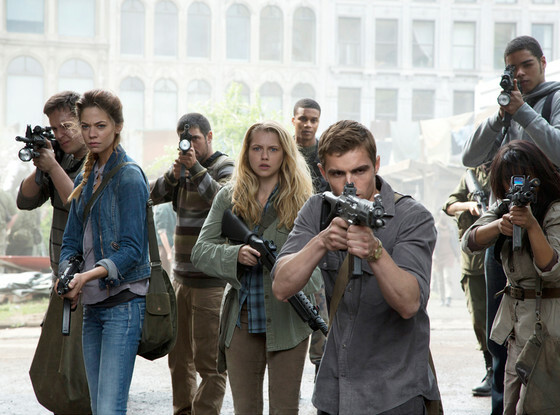 Warm Bodies takes place over a decade after zombie apocalypse has occurred. The vast majority of the world seems to be populated by both the walking dead, and mutated zombies (called Bonies) while humans are holed up in secure compounds. 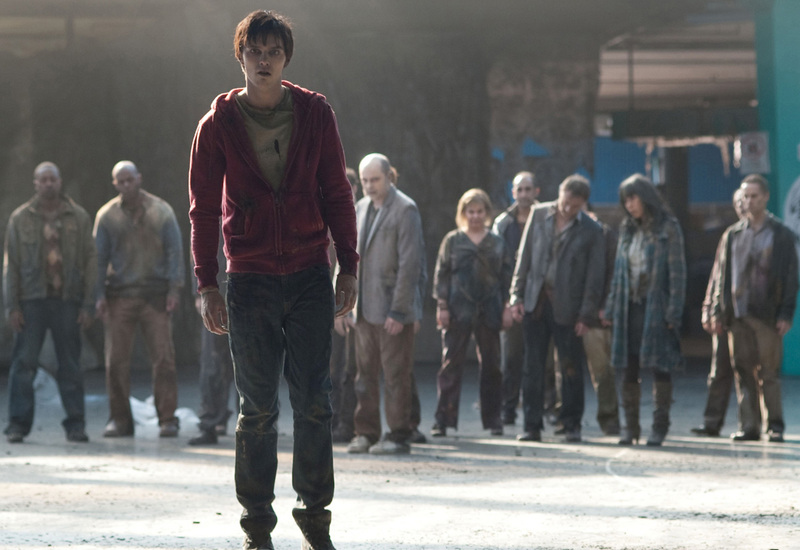 The film stars Nicholas Hoult (Beast in X-Men: First Class) as R; a zombie but one who seems different from the rest. He eats brains, stumbles around and generally acts like a typical undead but his mind is strangely intact. He has a home of sorts at the airport, a best friend (fellow zombie M, a comedy turn by Rob Corddry) and wonders just what his purpose is in death. Out looking for food one day he stumbles across a group of humans looking for supplies. His group quickly overpower the humans but R becomes captivated with a young girl and decides to take her home with him rather than eat her. They form a friendship of sorts and R begins to change, to become more alive, more human. A lot of the film is narrated by R, it kind of reminded me of the way Zombie Land is set out, similar just with a zombie protagonist rather than a human. Being a zombie I had expected it would be hard for R to come across as anything likable or otherwise but Hoult manages to pull it off, his brain dead expression is balanced with his thoughts which are intelligent and lend a humour to him, much of the humour comes with R's interaction with his love interest Julie as they slowly form a friendship. The plot is loosely based on Romeo and Juliet (very loosely, like a rotten arm dangling off a corpse shoulder only attached by a few withered veins) and is not really all that, it is more just an excuse to explore the relationship between humans and zombies. If you have seen the trailer then you have the gist of the film's big plot but doesn't really spoil things as it is all kinda obvious anyway. 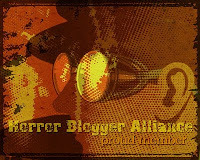 In regards to zombie action there is not really too much, apart from the early attack at the drug store by R and his cohorts there is no human vs zombie action, though the evolved zombies; the Bonies are the real threat as they bully and cajole the undead and are immune to the strange change that is turning everyone more alive. Interestingly the reason zombies want brains so much is given here that by eating the brain the ghoul can relive the victims memories that leads to some cool flashbacks. There is no reason given for the outbreak, that is fine, mystery is good, the whole change that occurs is more bizarre though. As R's relationship strengthens with Julia he becomes more and more alive, his ability to speak drastically improves, his heart starts to beat, blood starts to pump around his body and he becomes able to sleep...no idea why. Other slight things on a geek level are that the zombies have no problem working doors, at least R doesn't but then he does seem to be different to all the other zombies even at the films start. Another thing, I'm sure swapping saliva with a zombie would lead to infection? Who knows, one to try when the real world apocalypse happens. 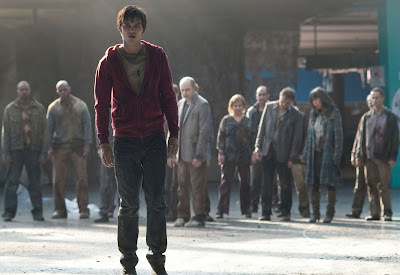 Warm Bodies is a very unique undead film, I always jokingly said that there should be a zombie version of Twilight, and this is the closest thing. It looks great, and while not hilarious all the time does have plenty of laugh out loud moments. The zombies are unique looking, but strangely the humans all kind of blur into one, young male soldiers all kinda bland and characterless, while John Malkovich's role as Grigio; the leader of the humans of the City Warm Bodies takes place in is just cookie cutter plain, his actions for the most part very predictable. One big negative for me is the inclusion of Dave Franco in quite a big role, I don't know why but I really don't like that actor! I left the cinema glad I had seen the film, it was by no means bad, or even average. 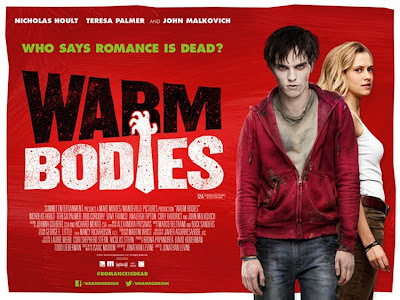 Well worth a watch, Warm Bodies is a fun, interesting with some entertaining characters, a film that thinks outside the box but just avoids being on the level of truly great zombie flicks.